Laser pointer on the dude going through concussion protocol. 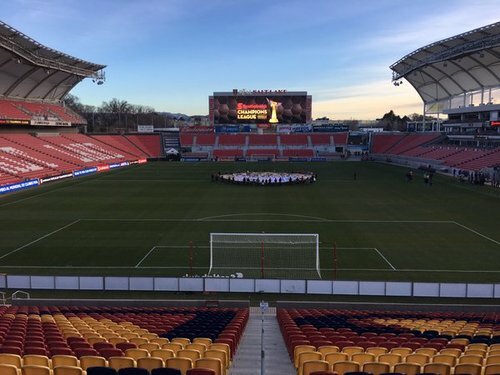 CONCACAF. 34’ - Brad Evans back on, and we’re at 11v11 again. ??? ?Things are getting heated at @EstadioAzteca ???? 37’ - Seriously, this game is like the last chapter of a Cormac McCarthy novel. 38’ - WOOF. Peralta tries a cheeky banana shot from under his knee, but it flashes inches wide. CA dialing up some pressure right nah. 43’ - Remember that time in the first leg the Sounders took a lead right before halftime and Quintero leveled seconds later? How good is Sambueza? He's set up all three Club America goals with beautiful passes. If you give him space he will slice you apart. 45’ - Goal Club America. 2-1. It’s OK guys. Sounders had to score again anyway. 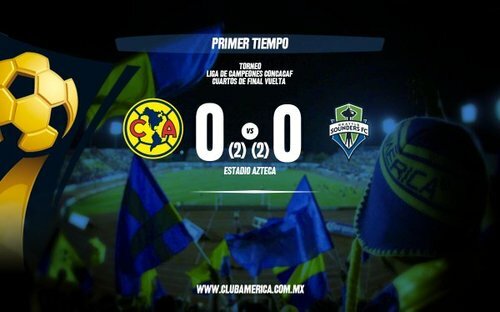 Okay, Club America is up and is going to win. If I was Schmidt, I'd take every starter out and gear up for the regular season opener. 45’ - Sounders beaten twice on headers for goals, once by the miniature Quintero. Can’t have that. 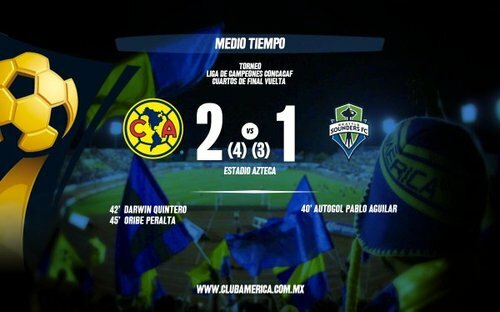 HT: Club America holds a 2-1 lead over @SoundersFC and a 4-3 aggregate lead. Sounders need a goal. GOAL AMERICA! Peralta matches Quintero on 22 all-time #CCL and now Seattle is on the ropes. In a matter of minutes. 2-1 tonight, 4-3 agg.